Long story short- my brother got himself in some trouble and wont be around for awhile and unfortunately no one in my immediate family can take his dog in. She is still fairly young (guessing 2-3 years old) and I believe my mother has her paperwork and (possibly) vet records. I realized this isn't just any old breed so I figured I'd reach out to a community of owners who know and love the breed to try and find her a new home. We have all the general supplies that would go with her (crate, bowls, toys, etc) but it does appear she would have to go to a home where she is the only pet. If anyone is interested please don't hesitate to contact me for photos or any other information. Sorry to hear that. I’m assuming it’s a Dutch shepherd. 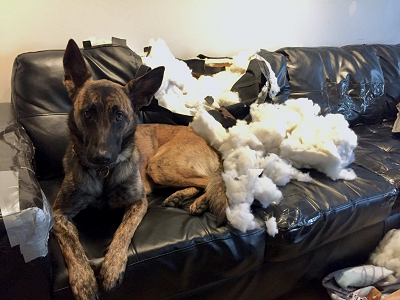 You might try the North American dutch shepherd rescue. Otherwise more information might help you find a new home for your brothers dog. Where are you located? Does she have prior training etc. pictures help too. There’s a lot of good people here that may be able to help steer you in the right direction if you can provide more information. Help us help you. I would like to reiterate what Borellar15 said. ...more information might help you find a new home for your brothers dog. Also there's a Facebook group Belgian Malinois and Dutch Shepherd Rescue and Rehome that can also help. If you provide a few more details including contact information (you can PM them to me) I will share this on the DSF Facebook Page. If you're not on Facebook, I can share to the other group as well. Your best bet is NADSR.